How to lose weight and eat what you want too! It wasn't until my late 20's that I found my calling as a trucker. Trucking was the perfect job for a guy that doesn't like having to punch a clock. The money’s good and the scenery is always changing! One of the only downsides to trucking for me is the fact that I love to eat, and became complacent about exercising. I gradually started to pack on the pounds. Then I found myself starting to have to take medication, first blood pressure meds, then statins for cholesterol, then pills for pre diabetes. Finally, I decided enough was enough. I was weighing in at a not so healthy 354 pounds and felt terrible. Not only that, but society really does stereotype overweight people. I was finding more and more that I just didn't fit in anymore in every sense of the word. 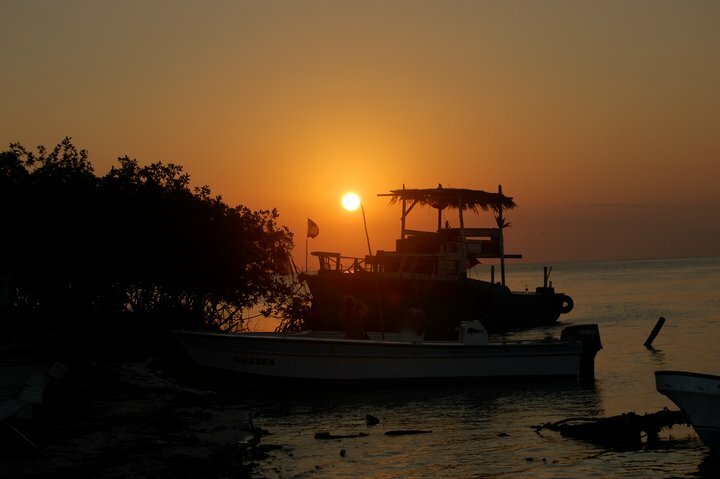 I decided it was time to make a change and I took an "extended" health vacation for six weeks to San Pedro Belize, Central America. Belize rocked. I went snorkeling, met lots of great people, and had the time of my life. I also spent a lot of time walking around San Pedro and I even found a nice little gym to work out at. However, although I did lose some weight It wasn’t nearly enough, and I knew that the clock was ticking, soon I’d be leaving paradise to return to my job. Then one night, I was talking to a friend of mine who’s native to Belize and had grown up on the mainland on a large ranch in Punta Gorda. There’s ancient wisdom that still is passed on among the descendants of the mayan, spanish, and african immigrants that inhabit this beautiful little country. It was while she was telling me about her childhood on the ranch that she shared some pearls of wisdom that I could use for weight-loss. She told me about how when she was a kid they had no electricity so the day started when the sun came up, and ended when the sun went down. "Americans are fat because they eat a big dinner late at night. When I was a kid” she told me, "my dad told us. Kids, we eat a good breakfast, and a big lunch, but dinner time just a little bit before bed.” That was how she was brought up and my friend was close to my age and not the least bit fat. In fact, she’s quite gorgeous. Well this wasn’t the first time I’d been told not to eat a lot before bed but for some reason this time it stuck! I went to my room that night and decided I was going to get serious about losing all this weight. Before falling asleep I’d formulated a plan of attack. The last ten days I was in Belize I did something I hadn’t done in a very long time. I set a ﻿boundary for myself regarding food. It was one of the most life changing things I’ve ever done, and it was one of the easiest. Each morning my girl friend, Terrie and I would walk a block over to a good local restaurant and have “Fry Jack,” a large fried tortilla with egg,ham,beans and rice with coffee for breakfast. Then we’d go to the gym ride the stair master for fifteen minutes and lounge out by the pool or go to the beach. Around four p.m. we’d walk or take a cab into San Pedro where we’d find an interesting restaurant and eat whatever we wanted. When the sun went down that was it we where done. No more late dinners. No more heading to the bar, and no more late night snacks!! Nothing!!! We’d read, go watch the stars on the beach, or watch television until we fell asleep. If I got hungry later at night before bed I’d allow myself a few chips or a banana but nothing more. By the time I had to leave Belize I’d dropped quite a bit of weight, most of it the last ten days using my new found diet. I decided I’d try using the principles of the diet while out on the road driving truck and started to call It My Trucker Diet. I blogged about it and how it worked for me at this website www.healthtrucker.com. 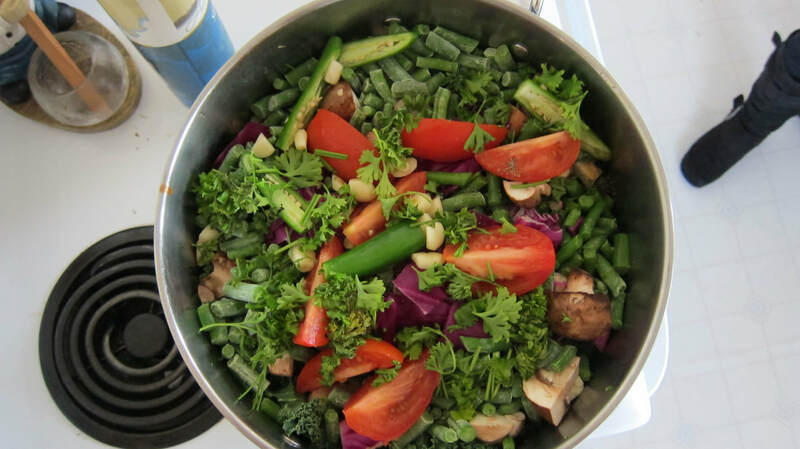 This diet works well for truckers, travelers, and couch potatoes, It works well for anybody that wants to lose weight or maintain with minimum hunger. Keep in mind this isn’t a high speed weight loss program. It can be if you want it to be, but for me the priority is being Pain Free i.e. I dont like feeling hungry. One of the ke﻿y reasons this diet works is because I stay hunger free. hunger, really is the downfall of most diets out there. Lets face it, eating is fun. Starving is not. There are drugs out there that can mask hunger and I’ve even heard of diets that advocate using hormones to lose weight and control hunger. I think I found a better way. That’s the beauty of this diet. When the hunger happens. Your asleep. Our ancestors were hunters and gatherers they didn’t have electricity and restaurants that were open 24 hours per day. They’d wake up with the sun rise and forage for food until the sun went down. Breakfast means “breaking a fast” and in my opinion that’s exactly what it should be. Fasting at night lets your body repair itself and burn calories without having to try and digest that Dagwood sandwich or super nachos we decided to eat just before tumbling into bed. Since I started doing My Trucker Diet. I enjoy my day more because I wake up feeling refreshed and ready to Go! I get to eat whatever I want and how much I want. It used to be I felt tired and lethargic after a meal. This was because my body never had a long enough break from food. Now When I finish eating a large meal. I feel satisfied without discomfort and seldom get sleepy. The best solution to a problem is often the simple one. The trucker life is busy and full of deadlines so a good diet needs to be easy. I’ve tried a few diets that worked, but stopped doing them because there were too many hoops to jump through. I went vegetarian for a while and lost some weight; but got tired of the extra shopping. I know, I know, how hard is it to go to the grocery store and buy veggies? Well, most truck stops don't have much of a selection of veggies (although they are getting better) and when You only have 34 hours of home time, that extra time cleaning the cooler and shopping for perishable fruits and vegetables doesn't seem so appealing. Within a month I’d back slid my way to convenience stores, truck stops and fast food, because it was quick and easy. Remember those words " Quick" and "Easy" they are the key to making a successful healthy life style and diet. For me as a trucker It had to be easy, accessible, and not require too much time away from my truck. The Trucker Diet isn’t a diet at all. It requires a life style change based on when you eat. The key lies in two words. "Dusk" and "Dawn," From six o’clock at night until at least six a.m. A minimum of twelve hours without eating. Most times longer, because as a rule. 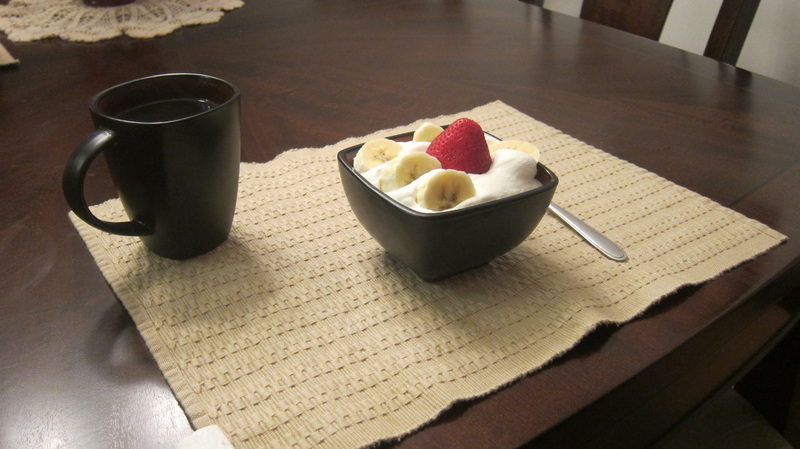 I don’t wake up at six a.m. On a typical day, I get up around nine o’clock a.m. Have breakfast; as much as I want. And for the rest of the day eat what I want. Try to stay low carb, and stay away grain based foods. For example, no breads cookies cakes and potatos. However, sometimes you'll mess up but as long as you stick to the Trucker Diet you will lose weight. Dinner is around five p.m. Then thats it. After six p.m. I shut down eating. Usually, I go to bed around eleven p.m.
There’s one caveat. If It’s bed time and I feel hungry, I’ll eat a snack of an apple, banana, some beef jerkey, It’s even O.k. to eat a hot dog just don’t eat anything made with grain like bread or crackers. "Why eat? I thought you said you dont eat between six p.m. to six a.m.?" The reason to eat a snack just before bed is because when you don’t eat you may find yourself waking up at three in the morning. So, if you’d like, go ahead and have a bite just before bed. The couple hundred calories isn't going to hurt you. And may help you have a longer more refreshing sleep. 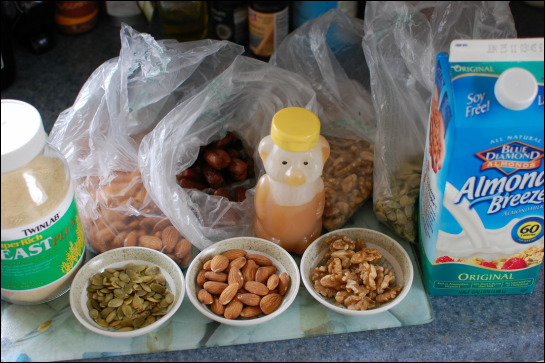 There’s one more "Rule" to my “Hunger Free Trucker Diet” that you need to follow in order to make this diet work. Only drink water, coffee, or tea, as much as you like. Stay away from soda pop and energy drinks. Also stay away from diet energy drinks and pop. Diet drinks have artificial sweeteners that aren’t good for you and can make you hungry. I also recommend not drinking caffeine beverages late in the day so you sleep better. Just stick to water or a nice herb or mint tea. Stay away from high sugar juices except for maybe a small grapefruit juice with a meal, but don’t buy a gallon of juice and chug it all day. Most juice, soda, and chocolate milk are sweetened with high fructose corn syrup. That stuff is calory dense, and according to some scientists, tricks your body so that you don’t feel full, no matter how much you drink. Ok here’s an actual day in my life using my Hunger Free Trucker Diet. I got up around nine thirty a.m. Loaded the truck, did my logbook, drove, and then ate around eleven o’clock a.m. Had a T-bone steak, two eggs, cottage cheese with sliced tomato, coffee, and large tomato juice for breakfast at Denny's in Ontario Oregon. Dinner, was between five p.m. and six at the Flying J in La Grande Oregon, prime rib, with cottage cheese and salad, green tea, and I was still hungry, so I had a bowl of chili with onions, cheese, and sour cream on top. It was around six o’clock p.m. when I finished and that was it! Done for the day with food. I was full but not uncomfortable. I worked untill around eleven and went to bed. (No snack because I forgot) I got up and had breakfast around nine o’clock a.m. So You do the Math. At six p.m. I stopped eating until nine a.m. = fifteen hours without eating. No hunger, no pain, and I’ve been losing weight doing this. Graveyard is hard on the body. Lets face it, if we were meant to be nocturnal we'd have been born with eyes like cats. I recommend not doing it at all. If you do work graveyard, one thing you can do is make sure your bedroom (or sleeper) is pitch black. Because any light will disrupt your sleep pattern. I used to tape garbage bags over my windows at home in order to block out the light while sleeping. There are a lot of products online that work better than garbage bags though. Something like this would work. If you have to work swing or grave yard then be sure to start the 12 hour clock when you wake up. If you wake up at five p.m at night. No problem, just remember at five a.m. you’re done eating for twelve hours minimum. Except for some protein a piece of steak or a hot dog or a piece of fruit if needed before bed. Keep in mind this was a while back before I started super charging my diet by staying away from most carbs but the point is relevant because I lost over 50lbs while eating whatever I wanted. Ok. Here goes. For breakfast at nine thirty a.m. I had two eggs, one english muffin, one eight ounce steak, one order of hashbrowns, one sixteen ounce tomato juice for a total of 1,114 calories then at around noon I had a sixteen ounce mocha, half mocha half coffee with four crackers for 320 calories. Dinner at 3:45 was Kentucky Fried Chicken two biscuits add honey and butter, one breast original, one drum stick original, one thigh original, and a cole slaw and mashed with gravy for a total of 1500 calories. that’s a grand total of 2,614 calories, oh yeah add five soda crackers at eleven thirty p.m. sixty calories for a grand total of 2,674 calories consumed in a twenty four hour period. My day consisted of ten hours sleeping, ten hours driving, and two hours walking/unloading in minus twenty degree weather, and two hours miscellaneous which I called resting. I plugged the activities into the handy calorie burning website http://www.healthstatus.com/calculate/cbc and came up with a grand total of 5,425 calories burned minus the 2674 calories eaten in the same twenty four hour period = 2751 more calories burned than eaten. Wow! I basically Pigged out during my waking hours and still lost weight. As you can see this diet/life style is definitely not starvation mode! although keep in mind at this point in time I weighed well over three hundred lbs. Which means I burned more calories at any given activity than a lighter person. Ok, so if you’re obese like I was then there are a few things you need to know. Part of my journey back to health began with a visit to my doctor. Two common health problems for overweight folks (and some skinny people,) are diabetes and sleep apnea. When I went in for my physical one thing my doctor did was order a blood sugar screening. We found that I was borderline diabetic so he put me on Metformin which helped get my blood sugar down to normal. You can actually make yourself diabetic by allowing yourself to get overweight, or you might be overweight in part because you’re diabetic!! At any rate by losing weight, some medical professionals believe you can actually make your diabetes go away! Then my doctor ordered a sleep study and found that I have a pretty severe case of sleep apnea. Sleep apnea can be both a cause of weight gain or can be caused by weight gain, sleep apnea means that you snore and can’t breath right while sleeping so you dont get quality sleep time. I now have a small machine that keeps my airway clear called a cpap which I take with me on the road. I’ve grown to love this thing. It’s nice to be able to put in a full day without having to take naps!! Quality sleep time also helps your body repair itself, and is crucial for weight loss. I recommend the﻿ first thing you do Before you begin My Trucker Diet is visit your doctor, and get a physical to make sure you don’t have any pre-existing conditions that are contributing to your health problems. One can pretty much break down what it takes to be Healthy by what I call" The Four Pillars." The Four Pillars of Health, are sleep, exercise, diet, and I include one more pillar that I call fun. Fun? you might ask, "what does fun have to do with being healthy?" fun can be just about anything golf, meditation, playing with your kids, praying, fishing, church, watching spaghetti westerns, going out to eat. Some folks have a favorite pet they take care of and for them that’s fun! You name it if it takes you to a higher place or allows you to feel at peace and happy it qualifies as fun! I’ve met a lot of People (myself included) that at times completely get caught up in the race for earning money. If that’s what makes you happy then great. However, if you find a snarl on your face more often than a smile, maybe its time to make a few changes and figure out a way to have some fun! Take a fifteen minute walk every day and or do some calisthenics what kind of exercise you do is up to you. Exercise is not required to lose weight on this diet although it is a great idea…I also try to stop my truck and every few hours and walk around it to check my load and let my body recover from sitting. Make sure you get at least 7 hours of good quality sleep!! I’ve already talked about “Sleep Apnea” and the importance of getting a Doctors Checkup to make sure you don't have a sleep dis-order. More and more Medical Science is finding that so many health disorders like diabetes, obesity, and high blood pressure can be linked to having a sleep disorderlike sleep apnea. Do yourself a favor and get it checked. So years ago a guy named Dr. Atkins pioneered the concept of going carb free in order to lose weight. I know this because I read his book back in the eighties and no I wasn’t fat; just liked to read. Back then the idea that eating a high fat diet didn’t make you fat was a radical concept. The fact you could eat as much steak and hotdogs (as long as you left off the bun) and salad with loads of oil based dressing and lose weight really took off. Paleo is similar to Atkins in that it’s low carb. They stay away from grains, beans, potatoes and processed foods but are O.k. 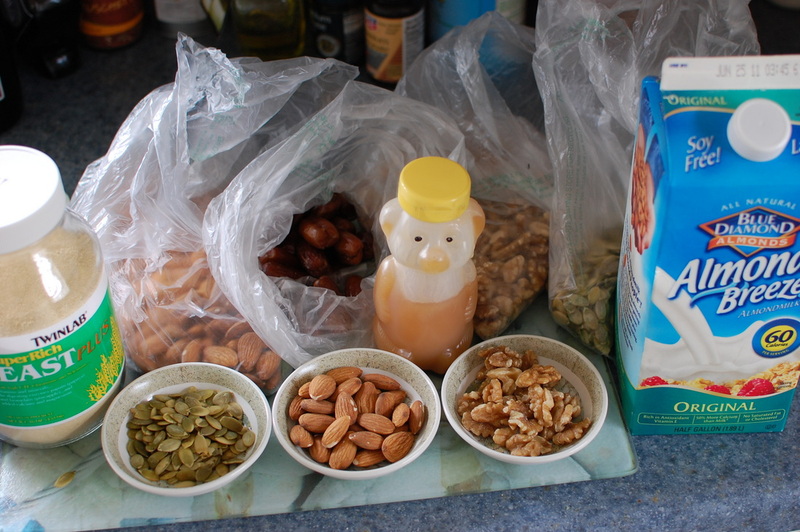 with fresh fruit most nuts and things like sweet potatoes which our hunter gatherer ancestors would have eaten. I'd highly recommend checking out some of the many Paleo websites online. So, I super charge my Trucker Diet by going low carb. I can’t call myself Paleo because when I’m driving long haul there are times I’ll eat a hot dog and or some chili…The main thing is when I’m in max weight loss mode. I stay away from carbs as much as possible and stay true to my Trucker Diet by not eating from dusk to dawn. Some days while doing the Trucker Diet you may find yourself eating late. and not being hungry again until it’s after six p.m. When this happens. I muster up some will power, and stick with the plan. No eating after six. Period. “I thought you said this diet is hunger free” you may whine to yourself (like I do.) However, there is an ace up your sleeve. Because my Trucker Diet allows you to to eat a snack before bed! 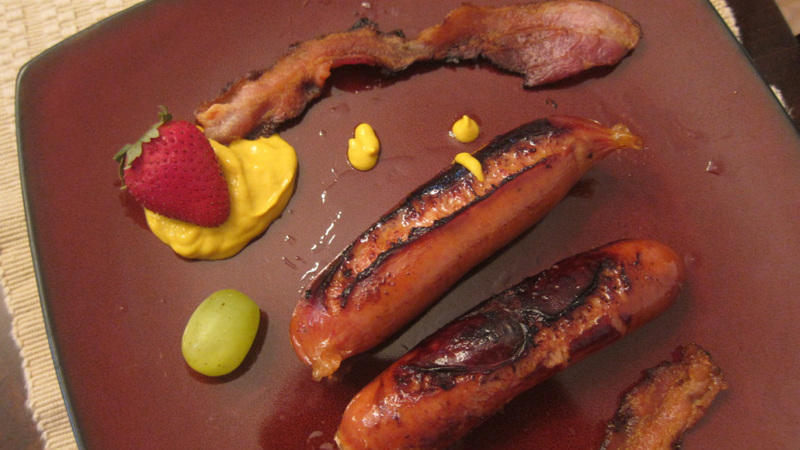 Go ahead, eat a banana, apple, OR how about a hot dog (or two) with mustard! Hmmm, Sound Good? Remember, no bread with that hot dog. And it's a SNACK so don't pig out. Limit yourself to no more than two hotdogs. Not bad though for being on a diet and it works. And, because you had that snack; you’re going to sleep like a baby and wake up feeling AWESOME!!! So you’ve been doing the Trucker Diet and staying low carb for a few months and you’ve lost twenty or thirty pounds and are doing great. Then, one day you blow out a steer tire in front of KFC in the Dalles Oregon. And while you are waiting for the repair guy to show, The smell of KFC attacks you and forces you to march yourself inside for some low carb grub. Except the sight of that original recipe. KFC Chicken (with the skin on.) is too much. So, you decide to cheat a little and order a three piece original style meal with a side of mashed taters and gravy because the delicious aroma gave you a flash back of grandma, and that’s what you and grandma used to love. KFC with gravy, taters, and all the fixings. And, because grandma passed on a few years back; you get a little weepy and think this may be a psychic message from the other side. And just maybe, she’s stopped by to check up on you. So, instead of telling the kid behind the counter “no roll with my meal” you allow him to put that hot roll with extra butter, (which isn’t even butter) and honey, (which mostly isn’t even real honey) in the bag; because those were your favorites back in the day, and still are, and besides. Grandma’s watching. You’ve just blown your diet right? Nope, why? Because it just so happens that it’s a Friday afternoon. And, after a few months of eating low carb, and doing the Trucker Diet you deserve a day off. And, friday works as good as any for taking a break. So enjoy yourself that’s what life is all about. Also, keep in mind you really haven’t blown your diet at all, because this diet is a two pronged attack. You may have splurged and eaten loads of carbs, but if you’re like me you’re still going to keep the main rule of the Trucker Diet and not eat after six that night. Sometimes on my Friday off I will do the opposite and flip it. And allow myself to eat after six at night, but I’ll stick to low carb and or Paleo food. Either way you play it, If you want to splurge one day a week, then go ahead. Personally, I wouldn’t start taking a day off once a week until you’ve been doing the Trucker Diet for a Minimum of couple months, and have seen some great results. Then reward yourself with a day off if you choose. By the way. KFC chicken with the skin breaded may not be Paleo (or low carb) but if it's grilled, or you remove the skin it IS. However for me half the reason for eating there; is how delicious the original skin on recipe is to begin with. sprinkle brewers yeast on top (the edible kind from health food store) I made the mistake once of sprinkling live bakers yeast on my cereal and smelled like I had a Beer Garden in my stomach for a few days every time I burped! Here's An Excellent and Easy Low Carb Dessert. I like to make when I'm home. Buy some Heavy whipping cream. Fresh Fruit like sliced apple, Berries, Banana, Whatever you like. Whip four packs of stevia. into a pint of the cream. and Serve over the fruit in a bowl; or make your self a Fruit Island surrounded by some Bacon. This is great to eat for a day or two if you ever fall off the diet wagon and want to play catch up. I snack on this all day. 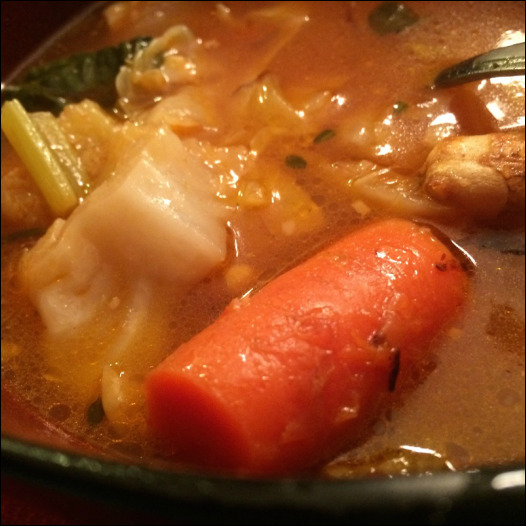 Call it my soup fast. 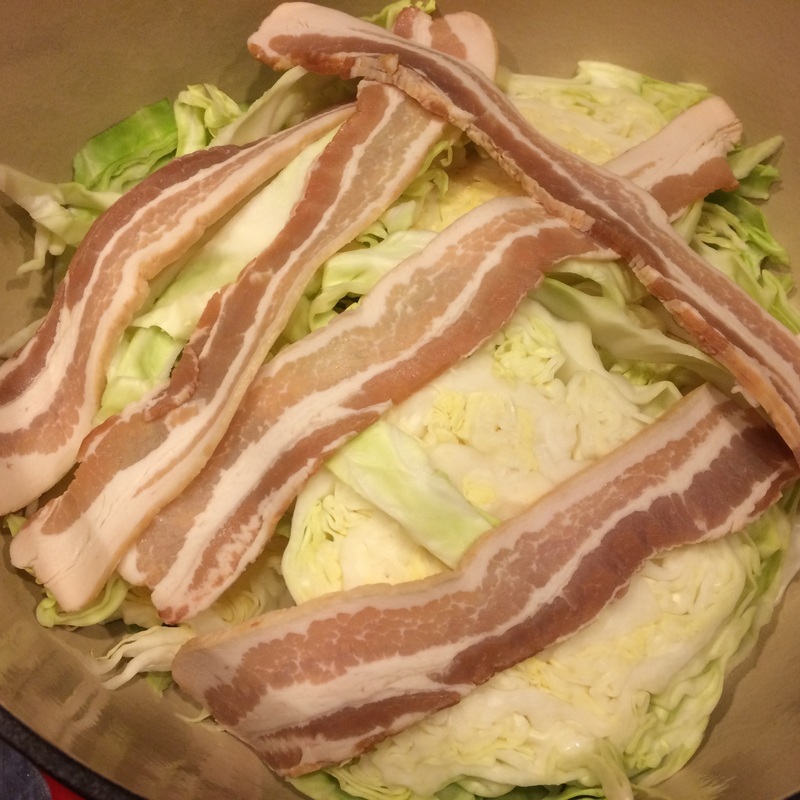 I added bacon to the cabbage (which I only did because it was getting old), couple chunks of Ginger, Lemon Grass. And I added 13 garlic cloves to caramelize with 3 onions. And a quarter cup or so of apple cider vinegar. So I carmelized all the veggies in coconut oil in three different sauce pans then add everything to a big stock pot with chicken stock tomato and spices. And let it simmer for 15 minutes. I think one of the keys to making this pop is to caramelize most of the veggies. Oh yeah I also added a couple hand fulls of Kale. I let the bacon simmer in the stock pot with the cabbage. I fry everything in coconut oil until it was mostly carmelized (except the carrots which are tough mamma jamma's so were only scorched, nor the cauliflower which I added last to cook.